Both the i-Fax System and i-Fax Box are 1st Web-based Fax-to-Email server under Linux platform which can support the DID/DDI fax routing via either DID, DDI, ISDN, T1 or E1 line. 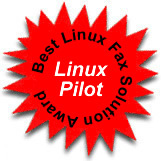 i-Fax System is one server application software running under Linux. i-Fax Box is DID/DDI Fax+Email Integrated Appliance (hardware box). DID (Direct Inward Dialing) allows the use of a block of telephone numbers larger than the number of physical telephone lines for direct dialing to extensions. When combining DID with inbound fax calls to the i-Fax server, each user on the i-Fax server can have faxes automatically routed to them at their computer desktop via either email or their personal printer. DID/DDI fax routing assigns a unique fax number for every network user or network device (such as a printer). Senders simply dial a typical telephone number (no special procedures are required). 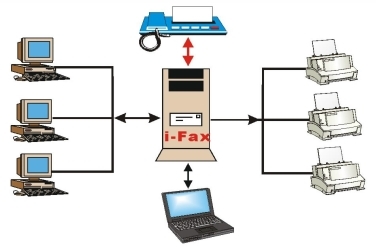 The i-Fax server automatically delivers the incoming fax to the user via email or print the fax directly to the user’s personal printer over the local area network and Internet/VPN. 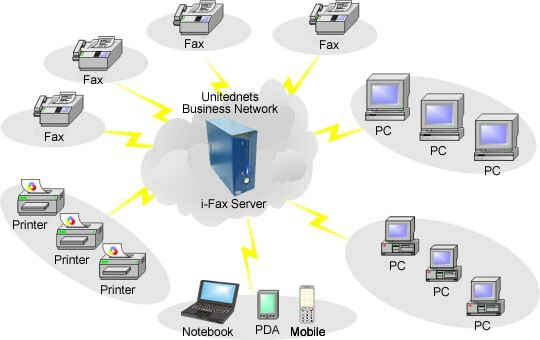 Faxes are delivered by the i-Fax server to the client desktop directly as soon as they are received. Time-wasted trips to the fax machine are eliminated and employees are more productive. In addition, DID/DDI offers a high degree of security for both the sender and the recipient. All faxes can be filed in either your desktop PC or server with either PDF, TIFF or GIF format for storage. Faxes can be OCRed to one normal text document for further modification and storage. All fax documents such as PDF, TIFF, GIF, TEXT/DOC (after OCRed) can be stored in one DMS (Document Management System) server for the further easy searching and data management. Without a lot of paper, no need to use so much space to store the useful fax documents. Using the compressed fax document file, it can save the disk space for both your desktop PC and server. No training required if you know how to open and send email. Configuration is done easily through web browser interface in 5 minutes. Except the Fax-to-Email feature, i-Fax also provides one friendly Graphical User Interface. Therefore, you can have another option to access your fax by using any web browser under any platform such as MS Windows, Macintosh O/S, Unix and Linux …etc. You can send out fax under any application on your desktop/notebook computer inside the office LAN or via the VPN connection on Internet. You are notified of incoming faxes through email and view it with just a click. Just keep youself in front of your computer with your work. You can use any web browser to send or receive fax although you are not in office. You can also use your mobile phone or PDA with one mini web browser to send or receive fax at anywhere. The content of all incoming and outgoing faxes will be logged so the management can easily review all past activities and usage by person, department or date. 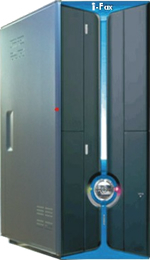 This can prevent staffs to release company data or doing private business with the company’s fax system. With the “Multiple Security Levels” and “Multiple Screen Layouts” features, management can control user in different position to have different screen layout and permission for using the fax system. No need to spend time and man power to distribute the received faxes. Print out fax depending on your need. Junk faxes can be filtered. No need to distribute the faxes by human being. Never miss any important fax. No down time if using more than 1 i-Fax servers with multiple lines for redundancy. Faxes & Database Automatic Backup with Local or Remote Synchronization feature. With these features, your clients will not get any busy tone or no reply from your fax machine so you will never miss any of your important faxes and business chances.